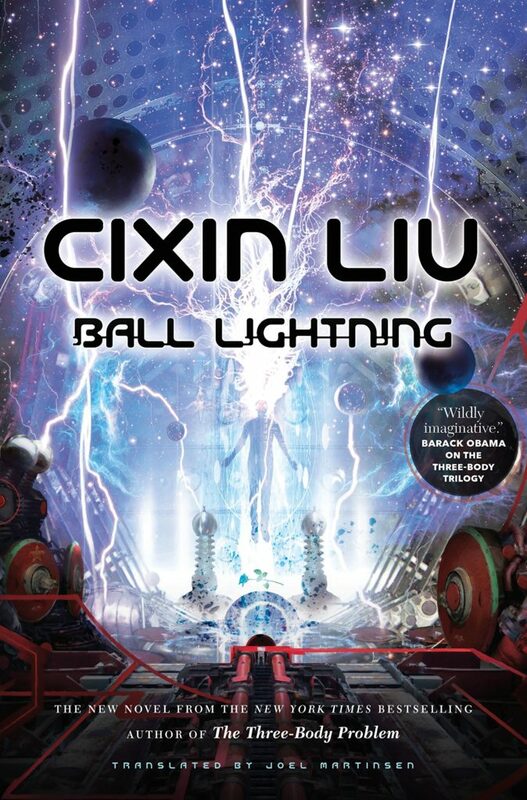 Ball Lightning is a science fiction novel by Cixin Liu set in the contemporary world. 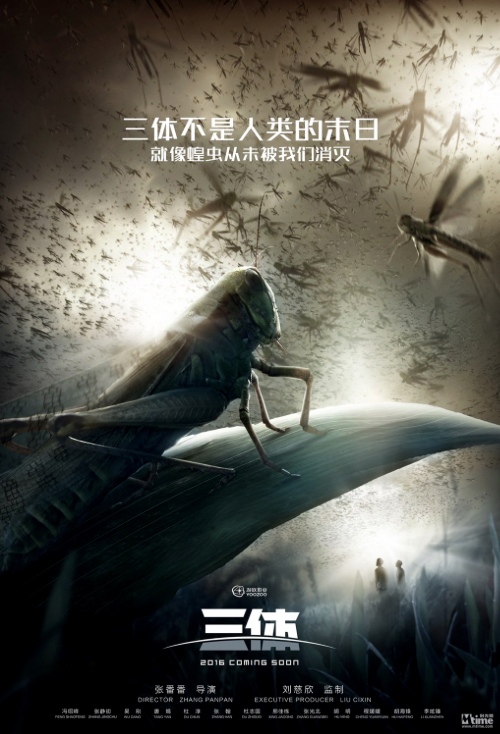 It is loosely connected to the author’s “Three Body” trilogy of Three Body Problem, The Dark Forest, and Death’s End, and like those books is enriched by a Chinese author’s story being told largely in China. But the story does not depend on those connections, and the events in Ball Lightning do not provide much depth to the events in that trilogy. 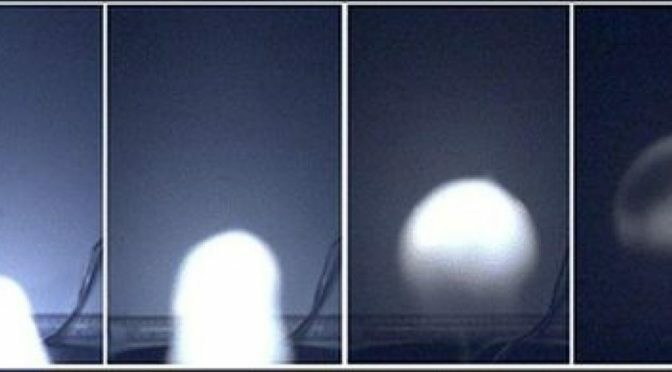 Ball Lightning succeeds in three areas: discussion of the real phenomenon of ball lightning, a fun description of the highs and lows of scientific discovery, and a meditation on the interdependence of defense research and new technologies. But before that, some brief criticisms. I enjoyed Ball Lightning and recommend it, but as with “Three Body” the focus is definitely on science and its implications, not characters. All characters tend to be two-dimensional, with simple motivations. No character changes much or discovers more about themselves. They are tropes, but tropes well used to tell an interesting “hard science” fiction story. I am interested in ball lightning. That comes back to two family members, who did not like each other and often undercut each other, who both reported seeing a silent, very bright, ball of light at the same place in time. (The same episode lead to my interest in UFOs, as described in my UFO theory). I did not know before reading Ball Lightning that the phenomenon was no longer considered to be paranormal: it was recorded by scientific equipment in China! 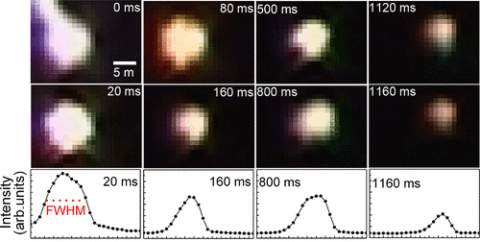 Ball lightning discoveries have been scientifically published (Cen et al, 2014). This is mentioned in-book, and I was as pleasantly surprised it really happened. Nevertheless, the actual composition, nature, and source of ball lightning are unknown, and Liu develops (and has characters either support or contest) a number of interesting hypotheses. Liu goes one step farther, describing not just specific theories but different methods of implementing research. Characters defend, attack or practice theoretical and empirical research, civilian and military research, and even “mechanistic” and non-mechanistic research. The last category appears to relate to Marxist theory as applied by the Soviet Union, and is a reminder that the Cultural Revolution and our own politically correct eras are not the only where science is infected by political fashion. 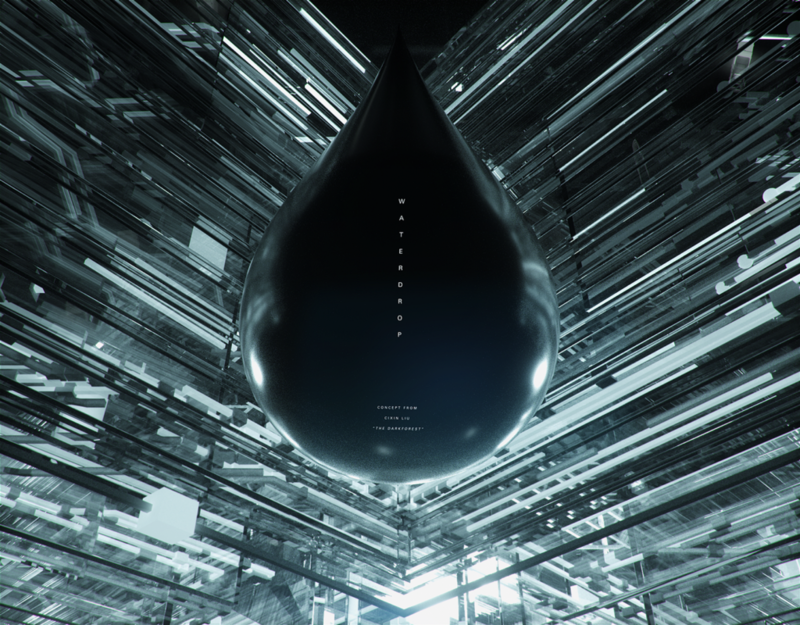 A large variety of defense research methods are described, ranging from the lone “mad” inventor to computer systems espionage to corporate work. A fascinating, if short, involves the main character’s trip to the United States. Without giving way plot points, the themes of low-trust bargaining, surprise attacks, coded messages, and mutually assured destruction, all familiar from The Dark Forest, make a reappearance. They feel like good friends. In the afteward Liu states that Ball Lightning is a traditional Chinese-style science fition story, focused on the invention of a technology itself, as opposed to a western science fiction story, focused on the societal consequences of the invention (The “Three Body” series is, by this definition, western). As I look over the western science fiction I’ve reviewed on this blog — A Canticle for Liebowitz, The Accidental Time Machine, The Difference Engine, and “The Frozen Sky” — I do see this pattern. I listened to Ball Lightning in the audible edition. 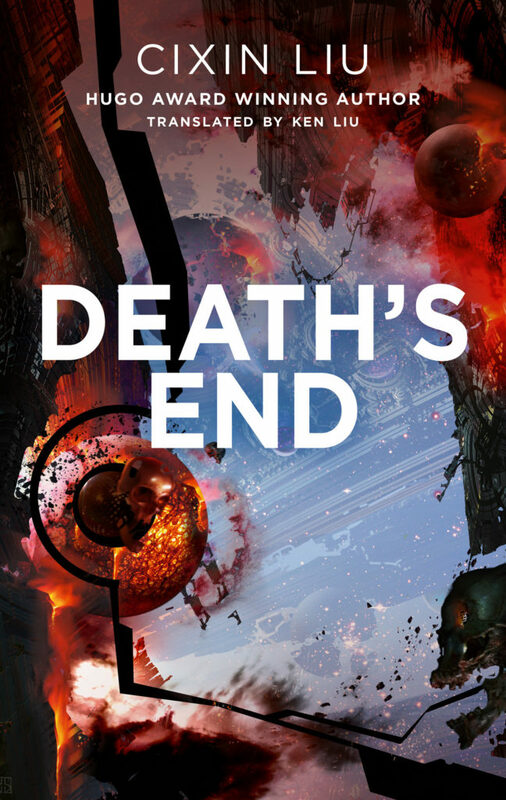 Death’s End by Cixin Liu is the third book in the Three-Body Problem trilogy, and a truly wonderful conclusion. Death’s End is a wonderful conclusion to the trilogy. 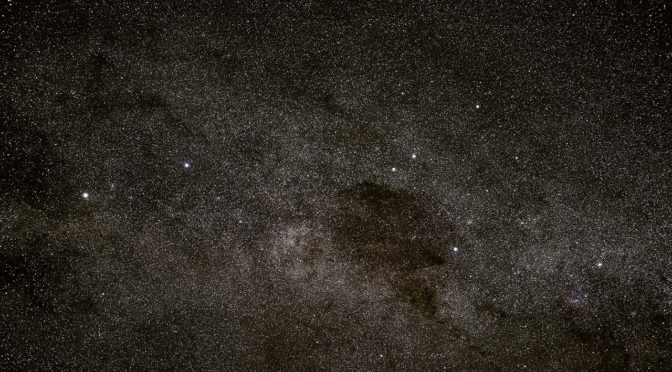 It is a wonderful complement to The Three-Body Problem, bringing back the scientific focus and tension and leaving behind the repetition of The Dark Forest As Three-Body implicitly examined the Drake Equation in depth, Death’s End does the same for dimensional projection. What seemed like irrelevant loose ends from The Dark Forest‘s emphasis on the importance of political commissars, such as the fates of the warships Bronze Age and Gravity, become into the main narrative. And, I suspect, it only failed to achieve a second Hugo award for the series because of politics. 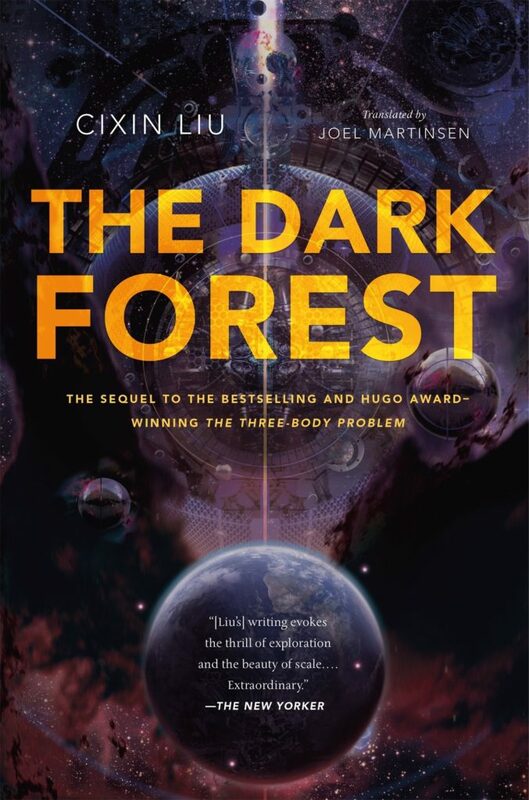 Some quick words on the trilogy: The first book, The Three-Body Problem is perhaps the best “hard science fiction” book I have ever read — considering that is the genre of Arthur C. Clarke, Isaac Asimov, and Michael Crichton, that is saying a lot. The second book, a direct sequel called The Dark Forest, is a disappointment. Cixin Liu is writing in a Communist country, and long speeches about the need for political commissars and sudden complete trust in the well meaning and efficient nature of governments implied the book was written to curry political favor. Death’s End is the final installment. 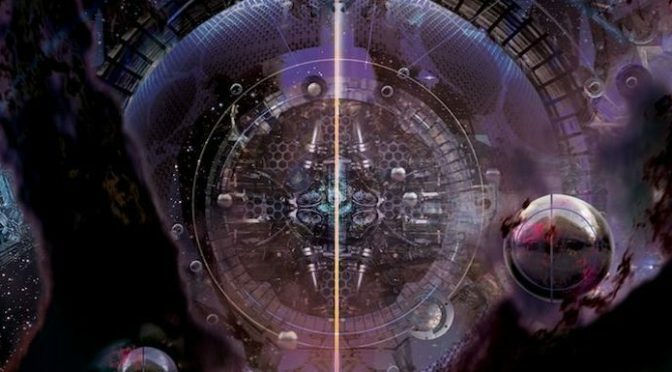 Cixin Liu is not the first writer to explore dimensional unfolding, but he may be the best to do so in a science fiction context. 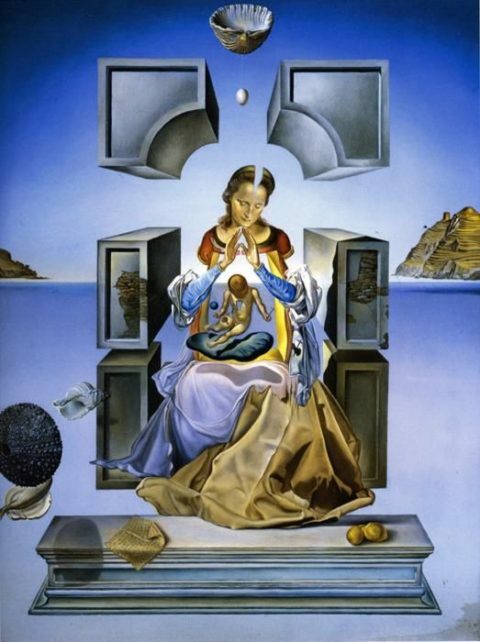 Realism, the philosophical idea that true reality of an object is the completely folded state was explored by St. Thomas Aquinas. The horror writer Jon Padget does the same, using numerous folded or reduced-dimensional imagery to get the point across: the fog itself, it has so many names: the Origami, Daddy Longlegs, Snavley’s Ultimate Ventriloquist. So when we pray for a miracle, in the past, present or future, we are praying for the projection of time that we see to be in conformance with our request. 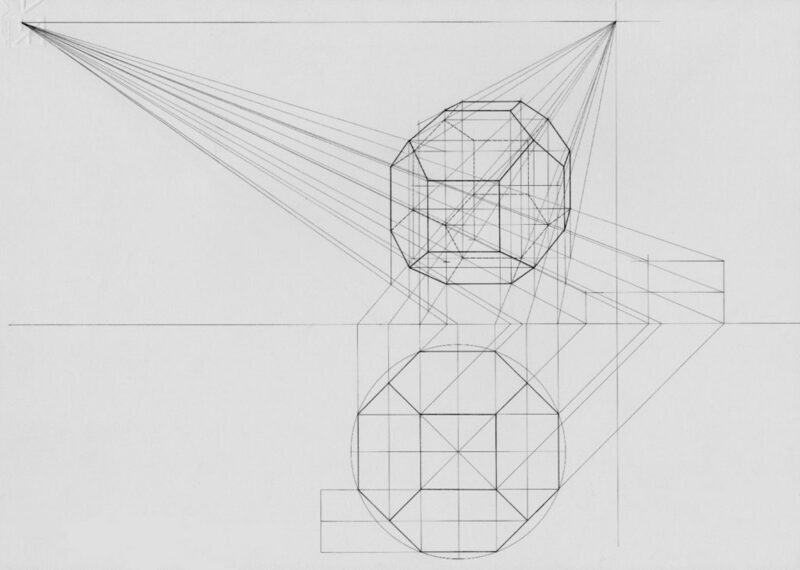 We are praying for time to be rotated in a specific way, in the way we might rotate a model pyramid to see the triangle, or the square, or the point. But what Aquinas, Padget and Lewis explored by philosophy, horror, and apologetic, Cixin Liu does through hard science fiction. Relative frames of reference, gravitational waves and quantum entanglement, high and low gravity black holes, and string theory are all introduced in a fun and exciting way. Each Three-Body book has a primary character who sets the theme. 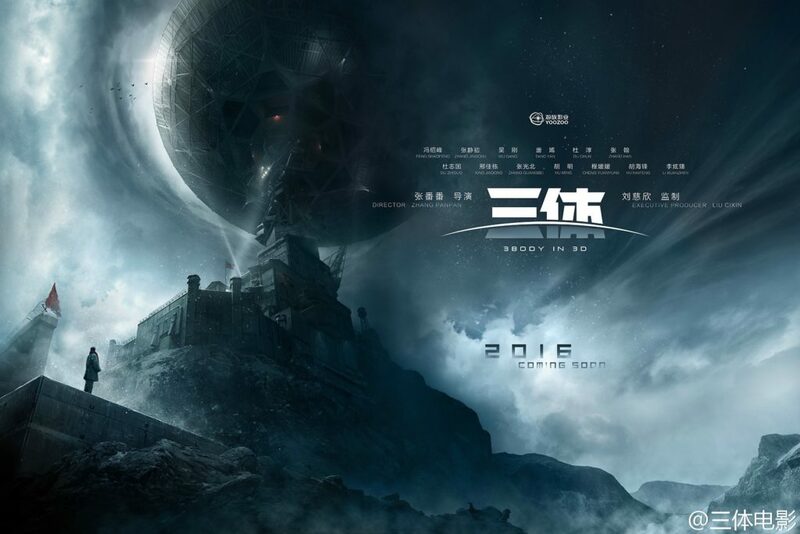 The Three-Body Problem is about Ye Wenjie, a young woman astrophysicist living in Beijing during the Cultural Revolution, and Wang Miao, an applied materials researcher in Beijing during modern times. The Dark Forest is about Luo Ji, a failed astrophysicist turned sociologists. Death’s End is about Cheng Xin, also a young woman astrophysicist. Of the characters introduced in the series the only well developed and realistic character is Ye Wenjie. She is perhaps the most memorable character I read since Fire from the Sun, also about the Cultural Revolution. 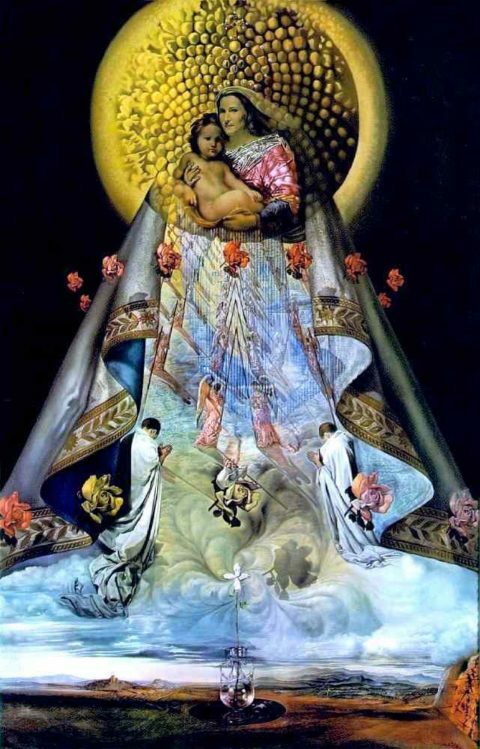 Cheng Xin, Death’s End‘s protagonist is almost Ye’s polar opposite — an archetype more than a complex character, she is repeatedly compared to the Virgin Mary as an ideal woman. Indeed, I suspect this is a reason that Death’s End, unlike Three-Body, did not win the Hugo Award. The days where a book about a Catholic monk could win that award are long gone due to an ongoing culture war in that community. After the founding of the People’s Republic in 1949, science fiction became a tool for popularizing scientific knowledge, and its main intended readers were children. Most of these stories put technology at the core and contained little humanism, featuring simplistic characters and basic, even naïve literary techniques. Few of the novels ventured outside the orbit of Mars, and most stuck to the near future. In these works, science and technology were always presented as positive forces, and the technological future was always bright. An interesting observation can be made when one surveys the science fiction published during this period. In the early years after the Communist Revolution, politics and revolutionary fervor infused every aspect of daily life, and the very air one breathed seemed filled with propaganda for Communist ideals. Given this context, one might have expected that science fiction would also be filled with descriptions of Communist utopias of the future. But, as a matter of fact, not a single work of this type can be found. There were practically no science fiction stories that featured Communism as the subject, not even simplistic sketches to promote the concept. I read Death’s End in the Audible edition. The Three-Body Problem was a landmark for me. It is the longest novel I’ve read in a half decade, since John Derbyshire’s historical fiction Fire from the Sun. I’ve been away from fiction for a long time. 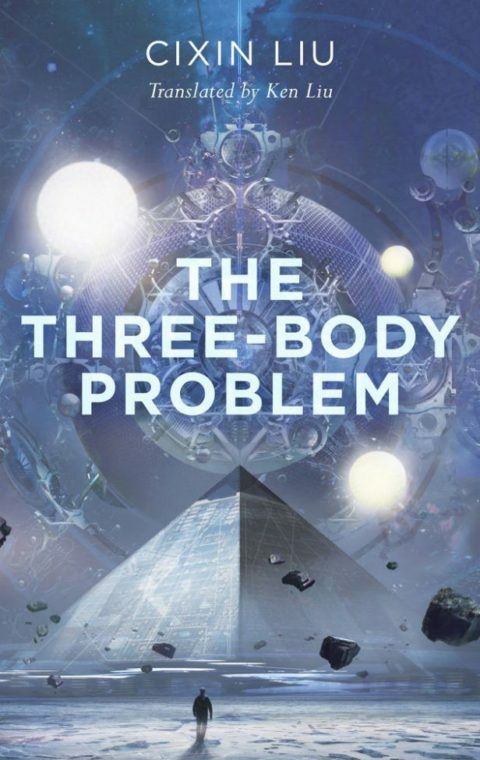 Three Body Problem is a great way to return. By genre, Three-Body is hard sci-fi, with philosophy of science, history of science, and political history thrown in. It evokes both 5GW and the religion. Structurally it is a combination of mystery (the modern-day scenes, beginning in Beijing and concluding in the Chinese countryside) and drama (historical scenes, with the reverse progression). 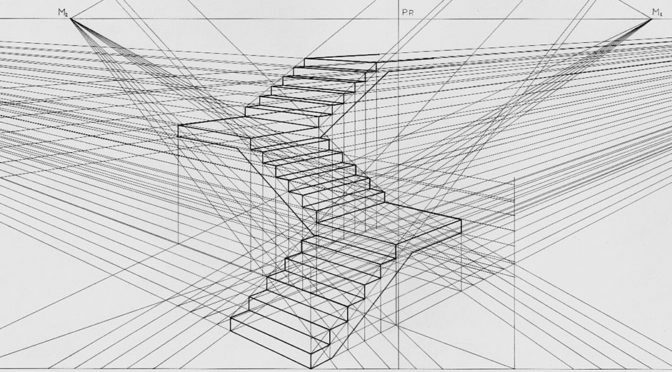 It has a third thread, a narration of experience in a computer game, that ends up being critical to understanding both main threads. Long-time readers of this blog will remember discussions on the “5th generation of war,” or 5GW — a type of war that is fought with one side not knowing who it is fighting. The military action within Three-Body comprises all three kinds of 5GW — insurgent 5GW of a small armed group against a society, a state-within 5GW where a clique inside the host society attempts to transform it, and state-without 5GW where a government attacks a society. The author is an engineer who was born and lives in the People’s Republic of China — an officially atheist society. So the discussion of religion were especially intriguing. Buddhism seems to be disparaged, described (unlike Christianity) as not being person-centric, and with pilgrims who appear to be in a daze. By contrast St. Joseph’s Church is one of the landmarks of Beijing held out for special admiration. The definition of ‘God’ used by characters tends to be deistic (belief in an orderly universe created by a minimally involved God). The religious feeling and looked-for purification created by certain interactions in Three Body recalls the supernatural struggle the Book of Ezekiel and other second temple literature. Three Body problem reminds me of primarily of other books: C.S. Lewis’ That Hideous Strength and John Derbyshire’s Fire from the Sun. There is also similarity to Kim Stanley Robinson’s Red Mars, as well as Tom Clancy’s Rainbow Six. That Hideous Strength is so similar to the mystery thread of Three Body Problem I wonder if it was intentional: the character known as the “the Commander” in Three Body is a composite of the Head and the Deputy Director in Strength. Like Fire from the Sun it is a beautiful and tragic look at the experience of Chinese youth who came of age during the Cultural Revolution. Rainbbow Six contributes an interesting ecological narrative, while Red Mars is a clear inspiration in hard (or technically plausible) science fiction. It was quite the treat to discover this book, a great mix of history, science, and fiction that ties into so many of my interests. No wonder it won the 2015 Hugo Award.